Enjoy excellent views of Outback South Australia starting with a scenic flight over Wilpena Pound and Brachina Gorge. Then pass over Parachilna, home to the famous Prairie Hotel, the township of Marree and on to awe-inspiring Lake Eyre. 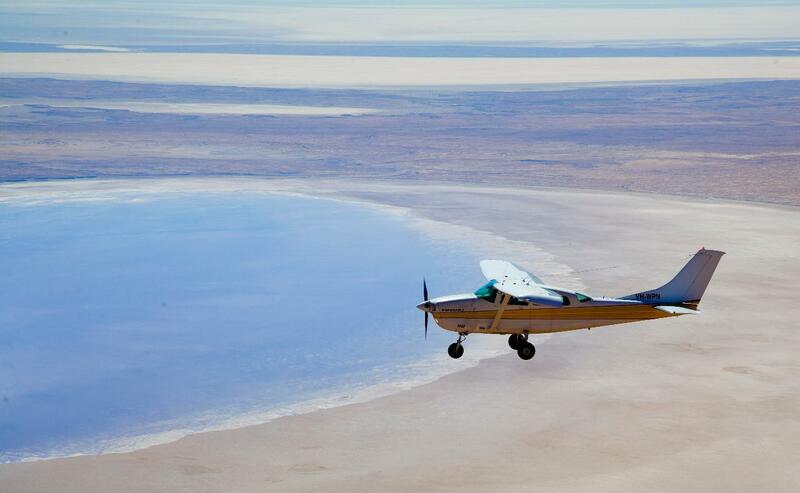 After marvelling at the vastness of Lake Eyre we will land at Muloorina Station to stretch our legs, a remote 400,000 hectare property south of Lake Eyre. The return flight passes over the Leigh Creek open-cut opal fields and the Gammon Ranges before landing at Wilpena. 4 hour flight is offered at 7am and 1pm daily.